In medium saucepan, combine corn, milk, margarine, salt and pepper; mix well. Cook over medium heat until mixture is hot and bubbly. Remove from heat. Stir in potato flakes and sour cream until well blended. Sprinkle with Parmesan cheese and bacon bits. 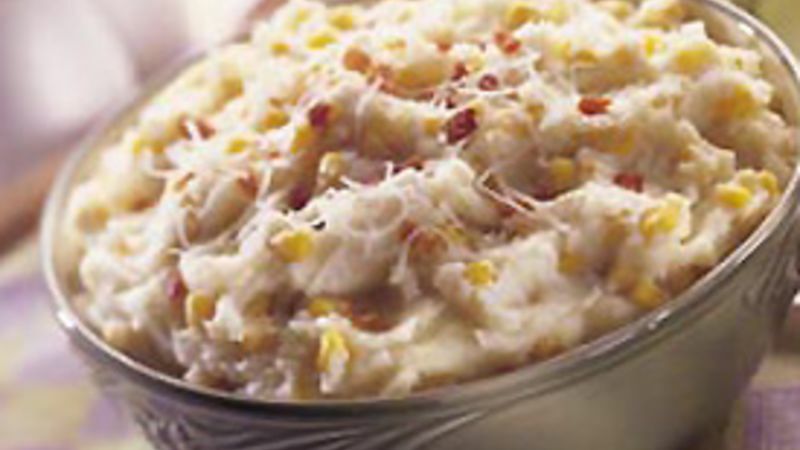 One cup frozen whole kernel corn can be substituted for the canned corn.